Our experienced cosmetic dentist has helped patients from all over Orange County renew their smiles and improve the health of their teeth and gums. 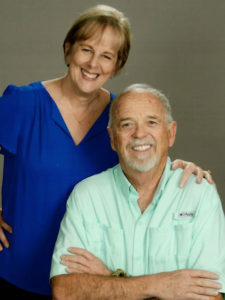 Dr. John Cross offers a comprehensive array of restorative dentistry and cosmetic dentistry procedures to restore both form and function to your teeth with beautiful results. We offer the following reviews and testimonials to give you an idea of the many positive experiences patients have attained here at OC Lifesmiles. If you would like more information, or if you would like to schedule an appointment, please contact us today. After a year of considering the process and the cost/benefit factors of having my teeth repaired and returned to a natural healthy state, I finally committed in 2016 to having Dr. Cross crown all my top teeth and six of my lower teeth. The need for the work was caused by years and years of grinding my teeth down to nubs both while working (a response to high level of stress) and while sleeping due to the lack of a properly fitting Nightguard. Now my teeth are beautiful once again and I can flash a full smile for friends and family, even for strangers. 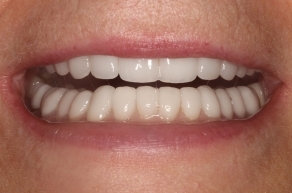 People who knew me before and after the restorative dental work are amazed at how beautiful my teeth are now and what a great job Dr. Cross did in restoring my teeth and improving my bite. So was the time and expense worth it at age 70? Absolutely! I smile more, my bite is great, I am very happy with the results and most importantly my wife is happy as well. Over the now past 70 years of life I have visited several dental offices; some of the offices were good, some were average and one or two were subpar. My only regret now regarding dental work is that I did not find Dr. Cross’s office and his wonderful staff until later in life. Without reservation whatsoever, I would highly recommend you consider making Dr. Cross your dentist and allowing him and his staff to advise and guide you through the process of obtaining a healthy mouth and a beautiful smile. OC Life Smiles has the best dental team in all of Orange County. I recommend them to all of my friends and family. They will surely make your experience one to remember and keep your smile brighter than you can imagine. After securing my dream job, a full-time professorship in 2004, I thought about how critical it was for me to face my students with a nice smile. My teeth had yellowed and my front teeth had several fine cracks in them. So I talked to Dr. Cross about getting porcelain veneers and he agreed that it was a good idea. After some preliminary work, Dr. Cross was able to give me the beautiful, natural looking smile I have always dreamed of. As a result of Dr. Cross’s expertise, I experienced an immediate boost in self-confidence, which is so important for a teacher. That was eight years ago! Today, I am as happy with my teeth as when I first had the procedure! I will always be indebted to Dr. Cross for helping me improve my appearance. 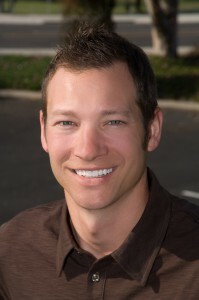 He is truly an expert in the field of progressive dentistry and cosmetic dentistry. Dr. Cross and his exceptional staff have provided my family with the excellent service we all want but rarely receive these days. 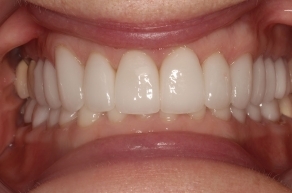 I am delighted with my Invisalign results and my whole experience with Dr. Cross and his team from day one has been professional, friendly and of superior quality. 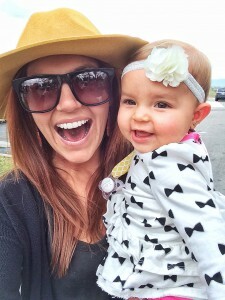 We plan on being part of the OC Lifesmiles family for generations to come. I approached OC Lifesmiles after finally starting to get some increased sensitivity from the wear on my teeth. I was a grinder as a kid and started to see considerable wear on my top front teeth by the age of 18. In my 20s my top front teeth looked like an arched bridge and I’d typically prefer to smile with my mouth closed for that reason. Something finally needed to be done and I wanted it done right. The staff at OC Lifesmiles are great, they’ll text you a reminder about your appointment and are always pleasant to deal with. Dr Cross is extremely professional and offered multiple solutions for my situation. 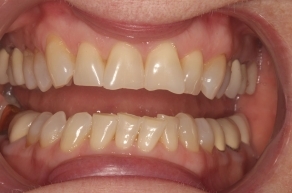 Dr. Cross suggested 10 veneers across the top of my mouth to replace the most worn out and sensitive areas. I decided this was a good plan and Dr. Cross immediately got to work with fittings and plans. You can pick the style of teeth you want, so if you are looking for an exact style there are many options. Dr Cross’ temporary fittings were so good that I immediately started getting random responses from friends, and people couldn’t believe how good my teeth looked (now that I had teeth again). After a few weeks when my permanent veneers were ready Dr. Cross scheduled me for the real deal. The procedure itself was done in one appointment and went very well. Dr. Cross was very accommodating to help with any bite adjustments or questions after the procedure. 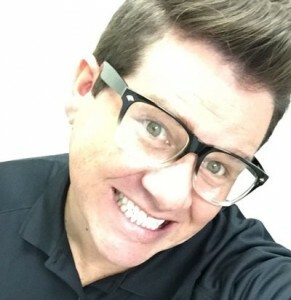 I’m more than happy with the decision to get veneers and be a patient at OC Life Smiles. I can’t tell you how many times people are shocked when I tell them my teeth are veneers. I rarely think about my teeth now, they feel and look as though they are my natural teeth and that’s how it should be. All of my top, front teeth were broken, damaged and decaying. I very rarely smiled and felt uncomfortable in any social situation because of how bad my teeth looked. There was also a lot of constant pain, sensitivity and risk of infection. Seeing the damage to my teeth everyday was a constant reminder of the events that caused the damage! From my first contact with Dr. Cross and his staff, I was made to feel at ease and realized right away that they were there to help me! Dr. Cross explains everything he is doing so there are no surprises or fears of what is to come. 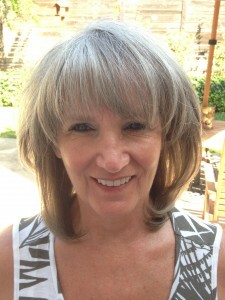 I could not be happier with the work I had done at OC Lifesmiles. Dr. Cross and his team were so great to work with the whole way through. Since completing the process in late 2014 my confidence has gone through the roof. My smile is brighter and better than ever and most everyone I talk to has commented on how great it is! Dr. Cross of OC Lifesmiles became my dentist on my daughter’s enthusiastic recommendation. I have always had a fear of the dentist’s chair, so making a change from the dentist I had been seeing for over thirty-five years was a huge step for me. The welcoming atmosphere and friendliness of the staff immediately helped make me feel a little less apprehensive. My initial examination was more thorough than any I had received before, and was followed by a consultation with Dr. Cross. He shared some concerns he had, but I never felt pressured to do anything. I then started having all of my quarterly cleanings done, and I was amazed at how much less uncomfortable it was, due primarily to all of the new and high-tech equipment used in his office. I have always had a curiosity about getting veneers as I have been ashamed of my smile since I was a child, even after wearing braces at thirty-five. I asked for a consultation regarding my options, and after another very thorough examination, I was told what the cost and procedure looked like. Because of my constant fear, Dr. Cross offered to do everything at once under sedation at a very reasonable price, but there was never any pressure to move forward. My wonderful husband gave me the gift of a new smile for Christmas that year, so I booked my appointment as soon as I could. I arrived the day of my appointment with some fear and trepidation, but I was still very excited about the coming result. Due to the sedation I have no memory of the actual appointment other than when I became aware again I had a brand new smile, and even though my new teeth were temporaries, I was still elated. 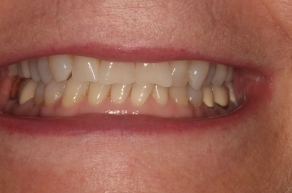 After a few weeks, my finished veneers arrived and, again with sedation, I was given my permanent new smile. What a gift!! All I can say is thank you to all who were involved.